It’s finally happening! I’ve said that a few times this week, first the crossover plan for ‘He-Man‘ and ‘Thundercats‘ comic expansion made my day. 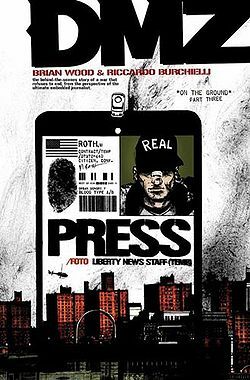 This time it’s more comic book news, but like the coolest comic book news I could bring you! 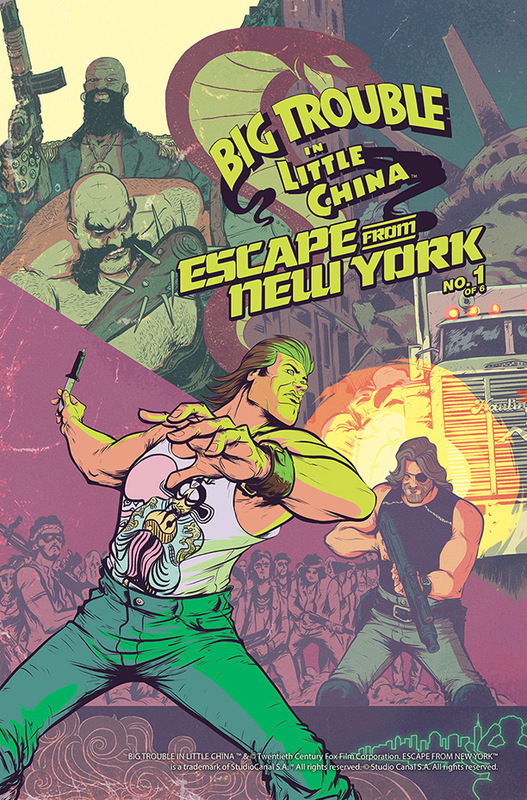 ‘Big Trouble In Little China‘ and ‘Escape From New York‘ comics will have a crossover edition!!! That’s right! Kurt Russell x 2! Doublemint Kurt Russell! How much Kurt Russell can you take before it’s too much Kurt Russell? I don’t know, but I’m willing to find out! 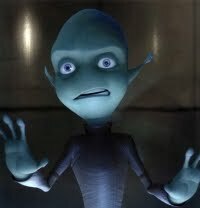 Now, let’s take a minute to calm down, I expended more energy in the first sentences than I have all week! 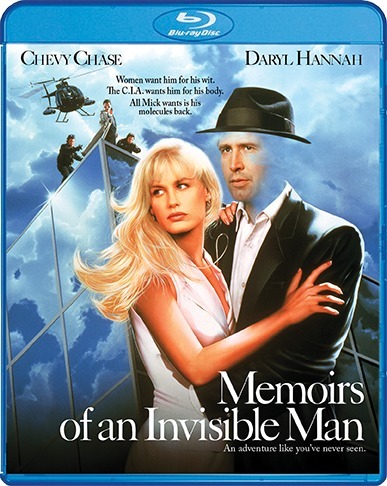 While I’m wheezing my heart rate back to normal, let’s get the rest of the story. 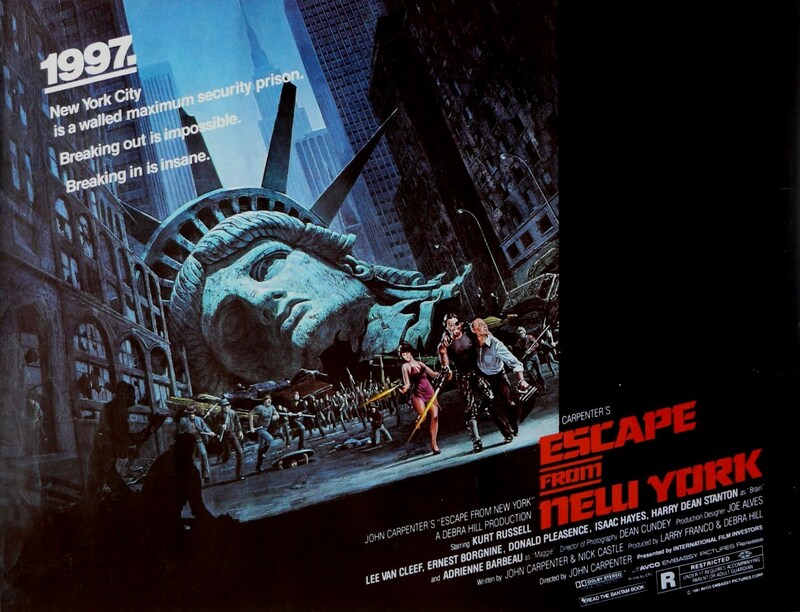 We’ve known there was going to be an ‘Escape From New York‘ re-make for a while now. Fox is hoping to relaunch the property in the same way ‘Planet of the Apes‘ worked out and now we have an idea of how this film might come across now that we have a writer attached. Blu-ray Review: ‘Escape From New York’! 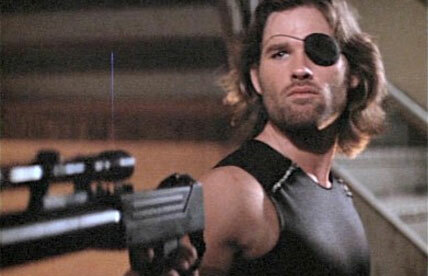 John Carpenter’s ‘Escape From New York‘ came out in 1981. I was born in 1981. This is not a coincidence. 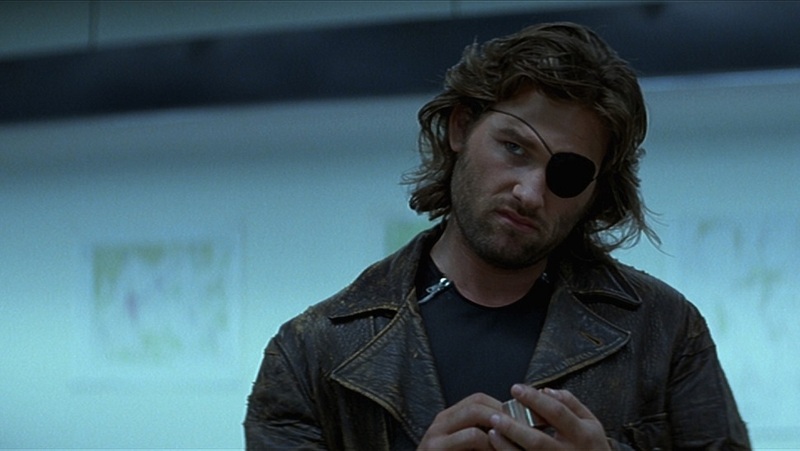 Ever since my dad showed me ‘Escape From New York‘, I wanted to don an eye patch, stick it to authority, and save the human race, just like Plissken does, but I knew I’d never be as cool as Plissken ever was. 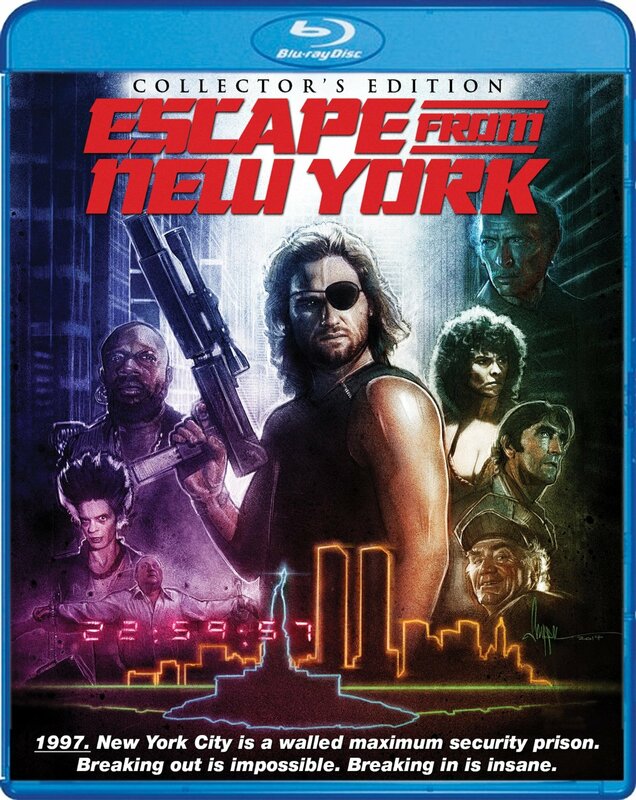 Collector’s Edition of ‘Escape From New York’ Going To Print!!! If you’re in the market for the ultimate copy of John Carpenter’s smash cult sensation ‘Escape From New York‘, you have until April 21 to wait! 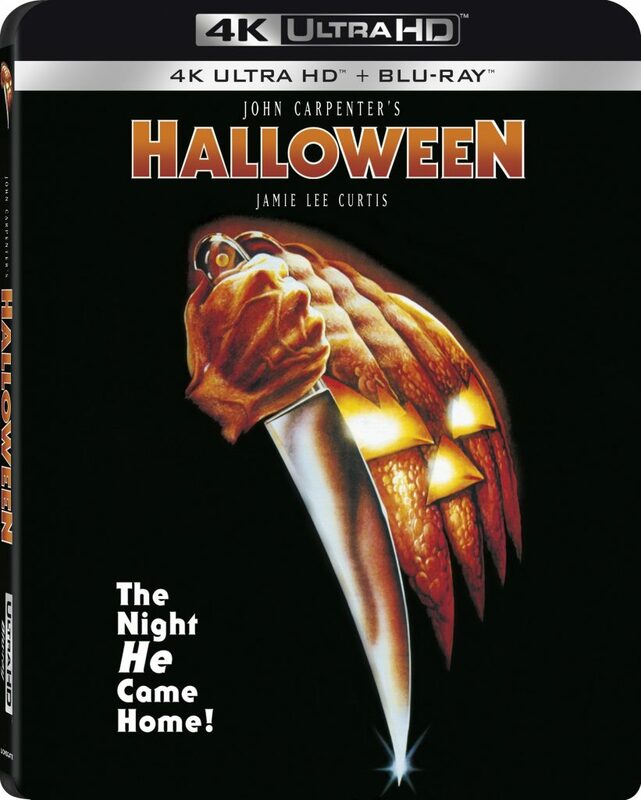 Scream Factory is reissuing a Collectors’ Edition Blu-ray that will leave all other copies in the dust. It’s official the bidding war for ‘Escape From New York‘ was heated, but Fox has won the day and their spoils are rights to remake 1981’s sci-fi actioner that saw a lot of big names saddle up for the ride. Of course, Kurt Russell was perfect as Snake Plissken, Lee Van Clyfe, Ernest Borgnine, Donald Pleasance, Isaac Hayes and Harry Dean Stanton are just among a few of the key players. SyFy is cashing in on the popularity of comic book adaptations for small screen with a DC comic book, ‘DMZ‘. In a huge deal at Warner Bros TV, two of ‘Mad Men’s producers Andre‘ and Marie Jacquemetton are hitching their wagon to another producer, David Heyman of ‘Gravity‘ and ‘Harry Potter‘ fame. 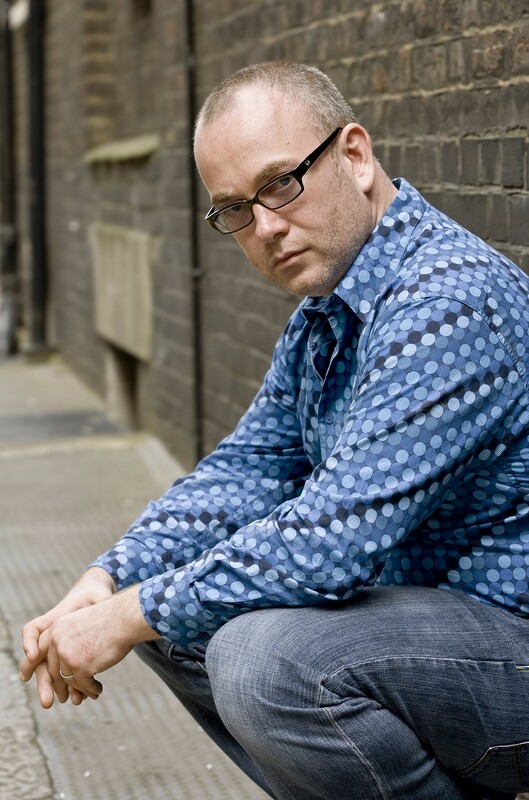 The Jacquemetton’s, a husband and wife team, will write the series. They began with ‘Mad Men’ right after the pilot was picked up. The two have shared in three of the series’ four best series Emmys and earned three writing Emmy Nominations on their own.